You are here: Home » Prophecies » One encounter with the Lord is about to change everything. The Lord showed me many prophets of His heart have been in intense fire, and it has been a fire that they thought that they were not going to make it through, then breakthrough began, and the momentum increased, then suddenly the fire got turned up seven times hotter. 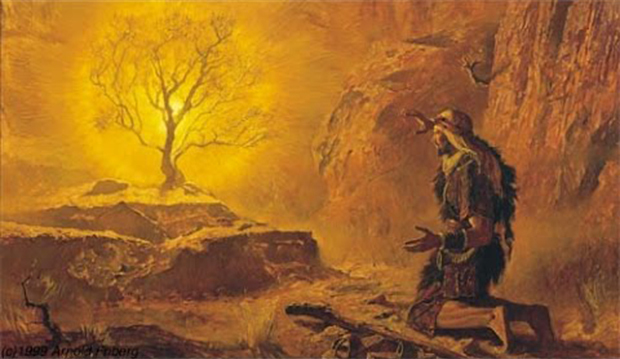 Many prophets are like Elijah sitting under the Juniper Tree, discouraged, weary, heavy, lost vision, passion and the joy of what the Lord has called them to. 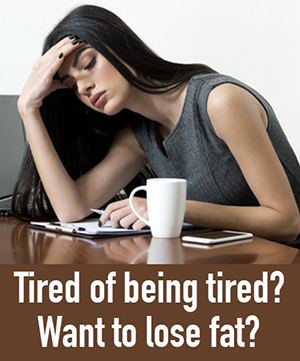 Many are in that place of such weariness, that they want to give up. I released a word on this very thing, this week, but over the past couple of days the Lord has been stirring another word in me. That is WHY there is a strategic attack on your secret place, prophets! Many of you are facing significant attack on your secret place with the Lord and your times with Him because the enemy knows that you are ONE ENCOUNTER AWAY from EVERYTHING changing. The Lord is bidding you to COME and COME CLOSER, to press through the WEARINESS and the WAR ZONE and just when you thought you are too tired to keep going, PRESS IN ONE MORE TIME, because you are ONE ENCOUNTER WITH JESUS AWAY from EVERYTHING CHANGING. I saw these encounters were LIFE CHANGING! They weren’t even just MARKER MOMENTS, I saw them as literally the MOMENT where not just one area of life is affected, EVERYTHING CHANGES! Like a MOMENT IN HISTORY that CHANGES EVERYTHING! These encounters with the Lord weren’t encounters that were releasing a word to the prophets that they then needed to contend with to see MANIFEST, these were TIPPING POINT encounters where the POWER OF GOD falls, a SOVEREIGN MOVE of the Holy Spirit that releases instant breakthrough that not only sets everything straight that has been knocked out of alignment by the fire and opposition, but releases a TIDAL WAVE of the power of God to change EVERYTHING. NOTHING will look the same after this ONE ENCOUNTER. This one encounter with the Lord will be the one you look back on for the rest of your life, the one encounter besides coming to know Jesus, that CHANGED EVERYTHING. I saw in these encounters a TURNING OF FIRE. I saw the fire that has tried to kill you, the Lord turning it in the breakthrough to INCREASE UPON YOU, that you will move out into your next assignment and you will see some of the greatest moves of the Spirit, demonstrations of the power of God, and the weightiness of His Presence falling upon people to set them free, heal them, deliver them from the VERY AREAS the enemy has tried to kill you in this season. I saw you, prophets of His heart, running INTO these new assignments with the FIRE OF COURAGE in your eyes. Where the FIRE OF FEAR has tried to kill you, this ONE ENCOUNTER with the Lord that is upon you, is going to BURN AWAY ALL FEAR. Fear is going to lose its legs, you will be SO overtaken, SO CONQUERED by the FIRE OF HIS LOVE (Psalm 117) that you will RUN into the battle with the fire of courage in your eyes, because you are BURNING with the conviction, passion and impartation of His love that has BROKEN for some of you GENERATIONAL ROOTS of FEAR in your lives. In these encounters with the Lord, I saw the MANTLE OF FIRE falling upon you SO heavily, it was a DOUBLE PORTION of anything you have ever carried. Your eyes, your ears, your mouth and your heart will BURN with the fire of God in ways you have never experienced. You will be completely revitalized, completely rejuvenated, completely revived, completely refreshed, a new vision burning in your heart and eyes to see sharper, further, deeper, higher and with more clarity than you have EVER seen, your heart hearing CLEARER than you have ever heard. Many of you have been plagued with winds of confusion so heavy in the past few months, and that’s because this mantle of fire falling upon you through this encounter is going to release a CLARITY OF HEARING and DISCERNING on levels you have never experienced. Many of you have faced such a deep level of torment and weariness that your heart has become weary, lacking passion, empty, despaired and hopeless. That’s about to change! Fire in your heart is coming, burning with passion for what He has called you to, the vision He has given you, such deep healing, full of joy, and your heart burning with the fire of the Holy Spirit to see others set free, and ignited with the fire of His love and passion. The Lord showed me these mantles of fire falling upon many of you, you are rising up with the spirit of Elijah. In this season, I feel the Lord drawing the prophets to look again at the life of Elijah. The Lord is speaking very deeply and clearly through the life of Elijah. The Elijah prophets are arising!!! I saw these Elijah prophets being sent out with an anointing to release the word of the Lord to see the tipping points ignited to manifest a SEVENFOLD RELEASE of RESTORATION into the body of Christ. These prophets have had the enemy come at them intensely lately, but now the Lord is releasing them carrying the anointing to not only release a word to see the enemy flee from the lives of believers and the body of Christ in seven directions (Deuteronomy 28:7) but also to see a release by the Spirit of God of a sevenfold increase to the body of Christ. The Lord spoke to me that these prophets, as they have been through the fire, the fire that has almost killed them, they have come out, they have gone through such a death and dying process, but in the midst of it, the Lord has released His heart for PURITY within them. The Lord spoke to me that these ones, are being sent out on assignment into the body of Christ and they are being released by the Lord to “test the waters”. They are being sent on assignment in the love of Jesus, to place the litmus paper of heaven in the waters that are flowing and they are to “test the purity of the waters”. They are being released with the litmus paper of heaven to release the BALANCE OF His heart, the balance of Heaven. His way! His agenda! All to lead the people of God to GREATER YIELDEDNESS to Jesus and increase, abundance and fruitfulness in their SURRENDER to HIM, His ways and His plans! In this BALANCE the Spirit of God was releasing through their prophetic words, I also saw the Lord BALANCING the scales of JUSTICE! Where there has been significant injustice done to God’s people and injustice within the Church, the Lord was going to BALANCE the scales of JUSTICE and the VINDICATION and JUSTICE of the Lord would be RELEASED! They are NOT MOVING OUT in JUDGMENT, they are NOT MOVING OUT in CRITICISM, they are NOT MOVING OUT in ACCUSATION, they are moving out in HONOR! They are moving out in LOVE! They are moving out in ASSIGNMENT of the Lord to RECALIBRATE. They are being sent into the body of Christ, into churches, into different places, to release the fire of God, partnering with the Lord to see His fire and Spirit fall in such a heavy weighty, beautiful way, that is going to REMOVE MIXTURE, REMOVE agenda, and REMOVE wrong motives. They are moving out with FIRE in their mouths, the FIRE of His love, the fire of PURGING and CLEANSING. The Lord is releasing them on these assignments, to bring a RECALIBRATION and to align the people of God with what God is saying, His agenda and His purposes for this season. The Lord is going to show up in them and through them in the most unexpected of ways, but it is going to bring the body of Christ into a place of deeper intimacy, alignment and purity. I was aware these prophets so walked in honour and respect that critical spirits, divisive spirits and those who sought to bring dishonor to the body were uncovered by their decree and pure message. Their honor was raising the standard of honor in the body of Christ. These prophets being sent from the heart of God, grounded in the Word, I could see they had been through that deep death process where their character had been deeply shaped and formed by the hand of the Lord. I saw they had a high value for covering and accountability and I could see a cloak of honor upon them. The cloak of honour the Lord had placed upon them and the honor, respect, and love they released upon others. Their words drenched in love, honor and the encouragement of the Lord. I saw the Lord send them with their litmus strips into specific places and the words that flowed out of their mouths was “CHANGE DIRECTION”, but there was only ONE DIRECTION, it was JESUS! They were being sent into different places to release the “CHANGE OF DIRECTION” to anything that had moved, shifted or come away from the ONE DIRECTION and the ONE FOCUS – JESUS! Their “CHANGE DIRECTION” released an impartation and invitation in the Spirit to a realm of deeper encounter with Jesus than has EVER been experienced. The “CHANGE OF DIRECTION” words were releasing an alignment into the body of Christ to the WAYS of God. To the NEW THING the Lord was doing. In the RECALIBRATION that the Lord was releasing through them, the Lord was confirming their words “LOUDLY”, because of the magnitude of the words they were releasing, the Lord was confirming their words “LOUDLY” and where many may be surprised by the unexpected word from the Lord, it was actually setting God’s people for greater increase and a powerful move of the Spirit of God in them, through them and amongst them. These prophets are being released with the mandate to bring cleansing, to bring realignment, with love, boldness and courage to POSITION God’s people and the body of Christ for the greatest move of the Spirit of God that has ever been seen. The “impurity” that is flowing within the body of Christ, the Lord is dealing with and the enemy has attempted to kill these prophets because they are strategic in this release and the next move of what God is about to do. He is setting the stage and how He is going to move is going to be unexpected, but more glorious than has ever been seen. These prophets carrying the fire, being released now to confront impurity with love, honor and boldness, are also going to be bringing in the younger prophets, like little eaglets, and beginning to teach them the ways of the Lord, the Elisha’s. They will take them under their wing and train them in the ways of God and understanding the prophetic and how to operate in and carry the fire of God with love, honour, boldness, strength and courage. Great word Eldon ! Thanks for sharing ! Thank you. Please read below my experience, True and Real…. I read your post on Sat, 17 June and pondered were do I fit in. The Integrity, Purity, and other Christ likeness seems to be so much lacking in me as per requirement. BUT, last night @3.16/17 AM, I had a very strong spiritual encounter (dream) as never before in my life. I was shaking and everything was shaking around like a war zone, very very intense and I roused up and fighting. The next scene this big demonic entity in the form of a buxom woman trying to enter into through an entrance of a posh building lobby and I was throwing a round ball like substance and she backed off and fearfully or wide eyed went away. I am inclined to think she represented some high authority in the dark kingdom. Early morning, the Lord Led me to pray that the LION is ROARING. Guess what, my morning scripture he led me is Jer 25:15-38 and verse 30 says..The Lord shall ROAR from on high. I go to church this morning and the message is about biblical value of contrast of the movie LION. I personally believe, this that you are speaking of, is the baptism with fire spoken of by John the Baptist in Mat. 3:11 I indeed baptize you with water unto repentance, but He who is coming after me is mightier than I, whose sandals I am not worthy to carry. He will baptize you with the Holy Spirit and fire. I believe I received understanding that the portion of Joel 2:28, 29 where it talks about God’s Spirit being poured out on all flesh is speaking of Pentecost after Jesus’ resurrection, but the seemingly same verses in Acts 2:17,18 are actually speaking of THIS time in history. The portion of scripture in Acts begins with ‘in the last days’ and it says “I will pour out OF my Spirit”, showing that the Spirit was already here, now this fire is coming out OF His Spirit. Please look very closely. The verses in Acts have the added word ‘OF’, which is not in the verses in Joel. I must say, this is the most exciting time to live! I have been struggling, under the greatest of fire and i felt just last night that i could no longer make it. I wanted to give up and i know i would not as i exist to not give up and complete my destiny as set forth by Abba. This word greatly impacted me and helped in ways i can not even quantify. Thank you for being obedient and used by father. I am so glad you did. I look forward to what Abba is going to do and i have already seen much. Only recently did the Lord bring me to this site, and since then I have found so much that speaks to my spirit it’s amazing. And to a battle weary warrior, your words bring much encouragement. Bless you. Like, I said on Elijah’s List. This is the most accurate word God has ever given you, Lana! I’m so excited! God is about to SHOW OUT!!!!!! Nothing could be as exciting as that! Amen…I am so depressed and weary lately…I can’t wait!